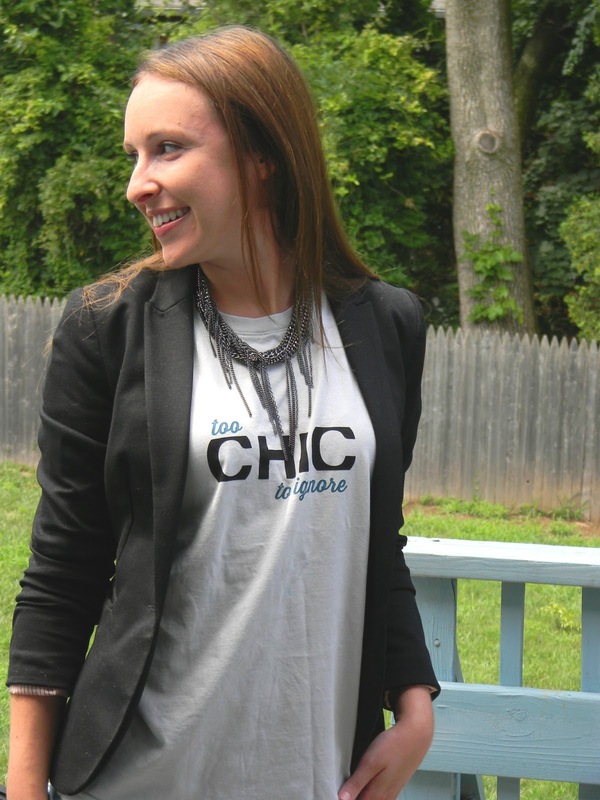 i opted to wear my too chic tee with my distressed denim shorts, sweet new steve madden snakeskin wedges [scored at the piperlime sale] my trusty black blazer, and a gunmetal necklace for a little edge. 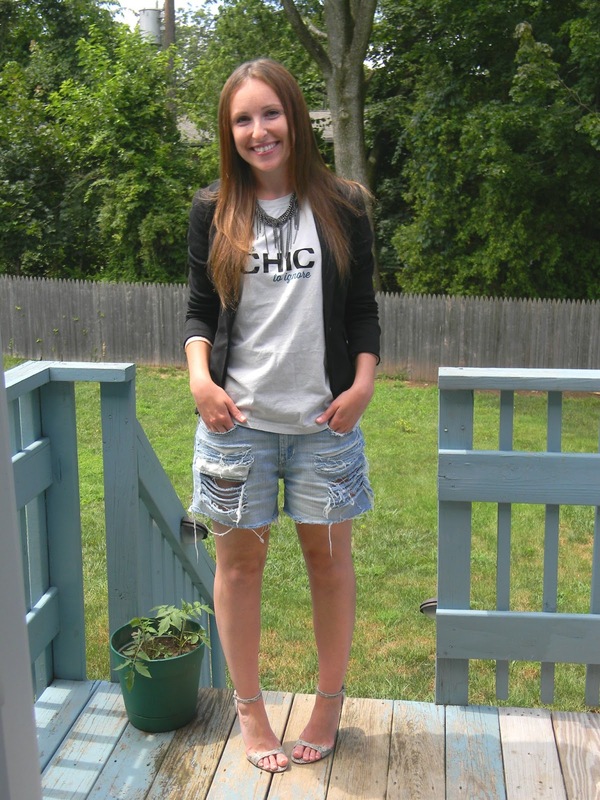 how would you be too chic to ignore? I am not a wedge shoe person, but I really like these.